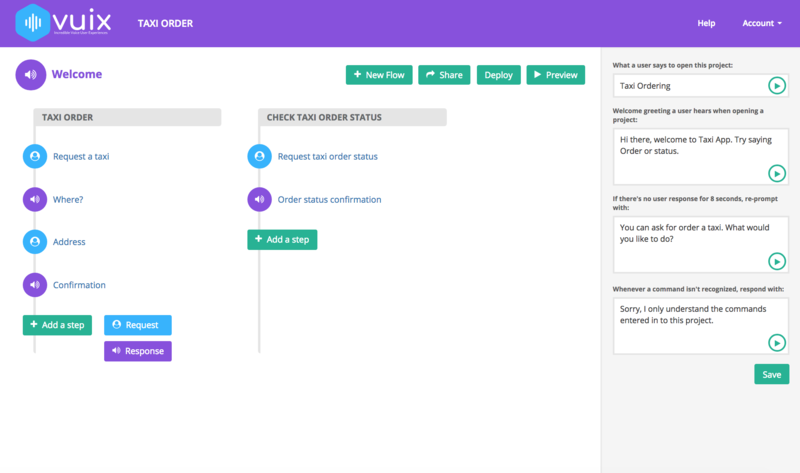 Vuix Help Center: What is a Flow? Each Flow contains conversations between the User and the Voice Platform. There are 2 parts to consider when creating a Flow. The Name: the name of a Flow should be roughly 1-3 words and describe what is happening at this specific step. The Description: the description details what should be happening within the Flow, with notes that might be important for your team members. Flows names and descriptions are useful to structure your voice app and organize all of the speech to creates awesome user experience.